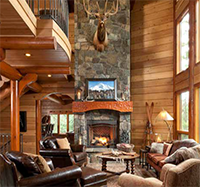 A love of skiing is often accompanied by a passion for spending quality time with friends and family in a beautiful wood home you'd love to call your own. If you're thinking of building a home near your favorite mountain resort, consider an architectural design that matches how you want to feel when you are there and create a layout that fits an easy weekend getaway with the gang. 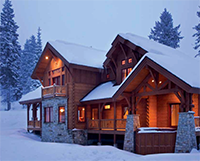 Get a taste of ski luxury and custom mountain comfort in, The Ideal Ski Home.